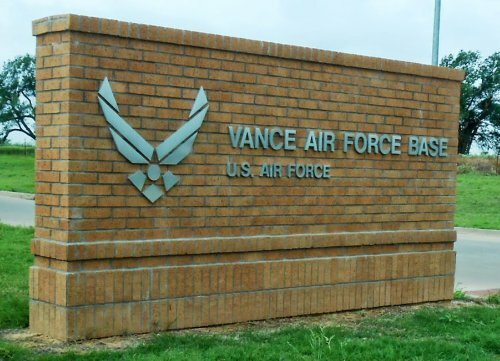 Vance Air Force Base Oklahoma is located in Garfield County, 5 miles south of Enid and approximately 94 miles northwest of Oklahoma City. This is a military town and the community appreciates our presence. While many things in the area are low cost, housing seems to be higher than one would expect. In 1960, Vance was selected by the Air Force as part of an extended experiment in contract services. Under this plan a civilian contractor furnishes the support facilities normally provided by base agencies. The base operator's phone number is 580-213-5000, DSN 312-448-5000. In keeping with the Air Force tradition of naming bases for deceased Air Force flyers, on July 9, 1949, the base was renamed after a local World War II hero and Medal of Honor winner, Lt. Col. Leon Robert Vance, Jr. The twin-engine T-37 jet, designed as a primary trainer became operational at the base in 1961. Replacing the T-33 in 1963-64, was the T-38, an advanced supersonic jet trainer. In 1995, the 71st Flying Training Wing moved into a new specialized undergraduate pilot training program with the arrival of the Beechjet T-1 Jayhawk. Joint training with the Navy became a reality in March, 1996, and Navy and Marine Corps student pilots arrived in April 1996, as part of Class 97-08. The mission of the 71st Flying Training Wing is to produce military pilots, build Air Force leaders and meet taskings in support of national defense objectives. The 71st Flying Training Wing conducts undergraduate pilot training for qualified United States military officers and also international officers. Flying training is also provided for members of the Air National Guard, Air Force Reserve and the air forces of several allied countries. As an AETC pilot training base, our highest population is in students. There are approximately 400 students at any given time. Our permanent party is approximately a combined number of 800 for officers, enlisted and civilians. Keep in mind that we also have services that are contracted. 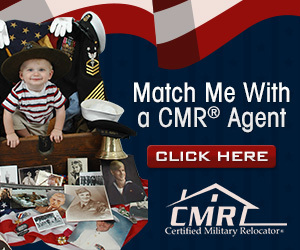 Many of our contracted employees are retired military. The retiree population we serve is approximately 1,200. If you arrive by commercial airline, at Will Rogers Airport in Oklahoma City to come to Enid from Oklahoma City(transportation is available by bus through Enid Public Authority System 580-233-RIDE. The cost is $100.00 one way). It's very important to coordinate your travel plans with your sponsor. Your sponsor can assist you with obtaining transportation from the airport. Also the Woodring Airport Shuttle is available for $5.00 to Vance Air Force Base, Tulsa 24 hours a day, seven days a week with connections to Amtrak and bus station. Call 580-402-0339. The cost is $85.00 one way to OKC. The cost for Tulsa is $100.00,second person is $50.00. Please call ahead to make arrangements. They meet you at the gate with a "your name" card. If you arrive earlier wait at the Travelers Aid stand. The Transfer runs Mon thru Sat. From Will Rogers World Airport in Oklahoma City, follow South Meridian and merge onto I-40 West. Exit on the US 81 exit and go north. Continue on US 81 north for approximately 70 miles. Once you see the Welcome to Enid sign you will turn left at the first red light you come to (Southgate Rd), then turn left onto Gott Road. Gott Road goes straight to the main gate. From Tulsa International Airport in Tulsa, follow the signs to I-244W/US 412W and take exit toward Oklahoma City. Follow 412 to Enid, then turn left (south) on US-81. Turn right onto Southgate Rd., then left onto Gott Road. Gott Road goes straight to the main gate. Exit on the US 81 exit and go North. Continue on US 81 north for approximately 70 miles until you reach Enid. Once you see the Welcome to Enid sign, turn left onto Southgate Road, then left on Gott Road. Gott Road goes straight to the main gate. Follow 412 to Enid (partial toll road, have $3.00 change), then turn left (south) on US-81. Turn right onto Southgate Rd., then left onto Gott Road. Gott Road goes straight to the main gate. No listings found for Vance Air Force Base.